Wait! Didn’t the price of a first class stamp increase about, oh, five minutes ago? So why has the Postal Service announced yet another stamp cost increase? If it seems postal rates increase every year, you’re right. On January 26th, the cost of a first class stamp went from 46 to 49 cents. This 3 cent rate hike in the price of a stamp is the Postal Service’s largest in more than a decade. Last year’s increase was by only 1 cent. It is now more expensive to mail a postcard as well, though that fee has only increased by a penny, to 34 cents. Clearly, the mailing public didn’t make this decision. 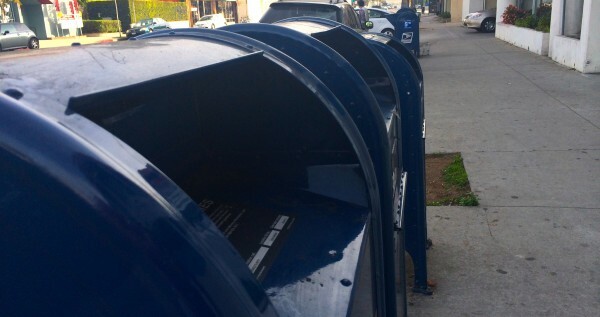 The Postal Service has been asking for a larger price hike for about three years now. Requests for these increases must go through the agency’s watchdog, the Postal Regulatory Commission (PRC). And the PRC is a tough overseer: they turned down the Postal Service’s 2010 request for an abnormal rate increase, claiming that they didn’t provide sufficient evidence of financial hardship. And the Postal Service was persistent — they then filed an appeal with the U.S. Court of Appeals, which agreed with the PRC and turned it down. Therefore, they’re finally allowing the Postal Service to make only this amount in profits over the next eighteen months using higher than normal pricing. The Postal Service, which is hoping to keep this large rate hike permanent (the PRC says no, although this doesn’t mean postal rates will go down) is in the process of appealing the PRC’s decision to allow permanent increased rates. So what did the PRC decide justified a stamp price increase at all? There are four main factors in their order granting the increase and they include losses suffered due to the economy, legal ramifications, the typical rate hike according to inflation and business risks around the USPS’s ability to operate. The PRC agreed with the USPS that the recession was to blame for some profit losses in shipping, mailing letters, and doing business by mail; but they also blamed “electronic diversion” for much of the agency’s losses. This term refers to doing business over the Internet, e-mailing, etc. You should have seen this coming folks, and you didn’t, the PRC told the Postal Service. This reasoning plays a part in why the PRC thinks the Postal Service has lost much less money than they’re claiming. Legally, the Postal Service’s rates are not permitted to rise at a greater rate than that of inflation and the PRC is required to enforce that. However, if the Postal Service can provide evidence of extreme financial hardship if capped by inflation, than this legal rule can be suspended (although this is somewhat debatable). The Postal Regulatory Commission says they have been provided with enough justification by the USPS to use this loophole. This is why they’re calling it an “exigent” rate hike. Despite all these mailing increases, the Postal Service actually hasn’t been keeping up with inflation over the years, so the decision issued by the PRC allows for an additional bump in price by 1.7%, just to keep up with inflation. This blends with the “exigent” part of the hike for a grand total of a roughly 7% increase. In the PRC’s December decision, it was stated that the Postal Service “lacks a sufficient level of liquidity”(money) to provide services (like delivering packages and letters), and that the inflation-based rate alone will not be sufficient to finance operations. Because the USPS could show that their basic services were at risk, the PRC could justify a larger increase.